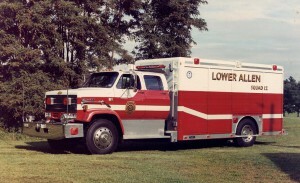 Unit designation was Engine 12 or a county C-number. Second fire engine bought from L.B. Smith Ford/Darley in November 1939 for $2,500.00. It was equipped with a 500 GPM pump and a 250 gal water tank. It was dedicated and put into service on May 4th, 1940. This engine replaced the 1929 pumper. 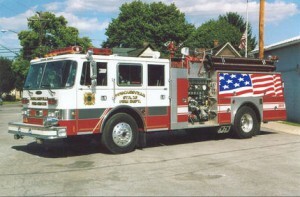 It was sold to the Fairview Fire Company on an unknown date for an unknown amount. It was later sold to Z-107 radio station and then sold to the current owner for $500.00 in September 1997.Current whereabouts: Owned and restored by Stoney Miller. Unit designation was Engine 12. 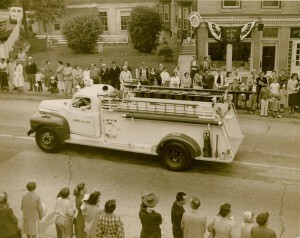 This fire engine was bought new in mid-1950 for $7,300.35. 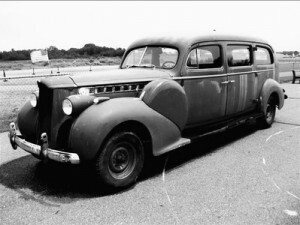 It was placed in service in December 1950 after being driven home from Chicago. This engine was equipped 500 GPM pump and an 800 gal water tank. It was commonly called “The Big Truck”. In 1982 it was sold to Mr. White, upon his death it was sold to its current owner.Current whereabouts: Owned and restored by Stoney Miller. Unit designation was Engine 2-12. 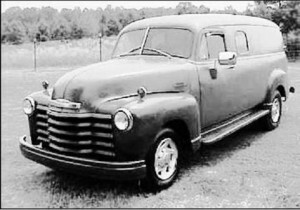 This vehicle was bought for $325.00 from International Harvester Co. of Harrisburg and replaced the 1940 Packard.Current whereabouts: Unknown. 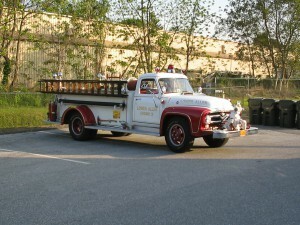 This fire engine was bought for an unknown amount and placed in service in July 1955. This unit was equipped with a front mount pump. 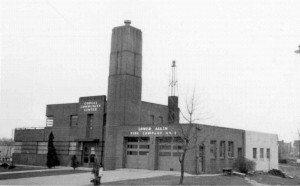 It was housed in the “new” station #2 in the western part of the township. It was owned for sometime by a fire buff in Maryland before being bought by R.L (Pete) Peterson. Peterson had this engine restored and took it to many events and parades. 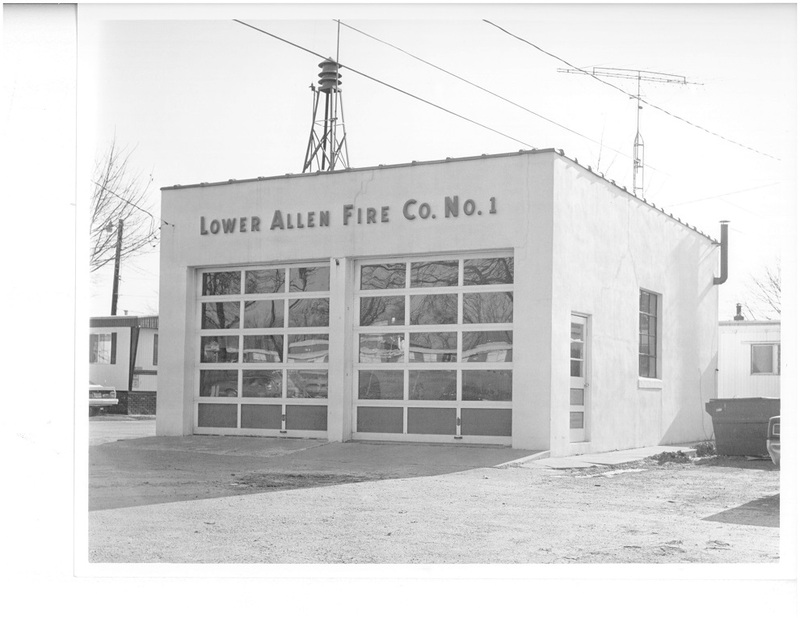 In June of 2013, after an offer made by Peterson, the engine was purchased back by Lower Allen Fire Company.Current whereabouts: Owned by Lower Allen Fire Company. This unit replaced the 1955 Ford Tractor/19?? Tiller. This unit was equipped with a 100 foot aerial ladder and carried a full compliment of ground ladders and tools the previous unit could not. When this unit itself was replaced, it was donated to HACC for use of the fire training grounds. It was then later returned to Lower Allen and sold to the current owners for $2,500.00.Current whereabouts: Emerald Hose Company, Renovo Pa. 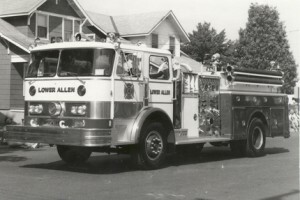 This fire engine was equipped with a 100 GPM pump and would be one of the first units in Lower Allen to carry 5” hose. This unit was dedicated to Fireman George Flickenger who was injured in the line of duty in ??? ?, with the addition of bell to the front bumper. This unit was sold for $17,500.00 through Bay Fire Apparatus to a southern Fire Company.Current whereabouts is unknown. Unit designation was Engine 4-12. 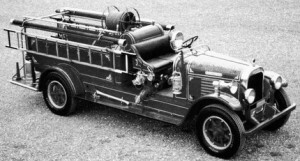 This fire engine replaced the 1950 Ford Darley in order of response. 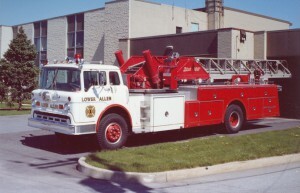 This fire engine was identical to the 1975 Hahn engine. 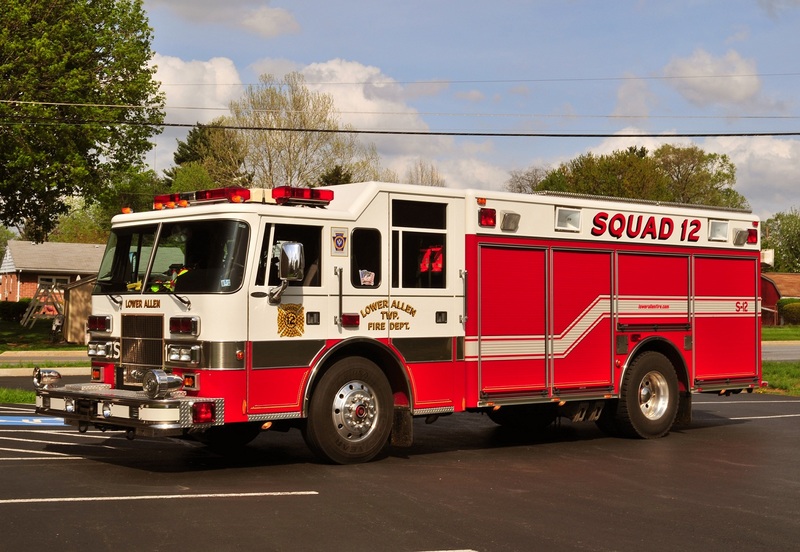 This unit was sold for $17,500.00 through Bay Fire Apparatus to a southern Fire Company.Current whereabouts is unknown (thought to be the same as the ’75). 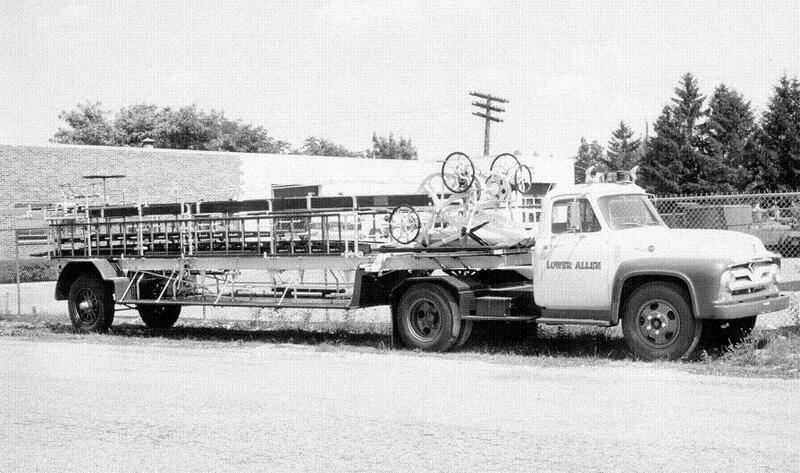 This unit was the first of its type for the fire company. It carried both fire and rescue equipment along with a 12kW generator and lighting. It was also the first unit in the local area with roll-up doors.Current whereabouts: sold to Carlisle FC in 1998. Unit designation was Squad 12. 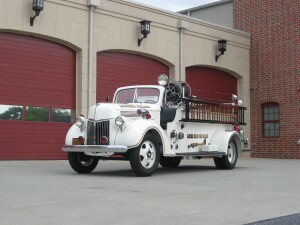 This fire engine replaced the 1955 Ford Engine. This fire engine was equipped with a 1750 GPM pump.Current whereabouts, owned and in service with Duncansville Fire Department in Blair County PA as Engine 20-11. Unit designation was Engine 3-12. This unit replaced the 1967 unit. This unit was equipped with a 100’ ladder with a bucket affixed to the top for firefighter safety. In addition to the ladder this unit also has a 2000 GPM pump and a 300 gallon water tank.Current whereabouts, sold to Saxton Volunteer Fire Company in Bedford County PA.
Unit designation was Truck 12. This fire engine replaced the 1964 engine. This engine was equipped with a 1500 GPM pump. This unit was dedicated to Deputy Chief Roy J. Sheely who passed away in the line of duty in December 1993.Current whereabouts, sold to Saxton Volunteer Fire Company in Bedford County PA in service as Engine 35. Unit designation was Engine 1-12. 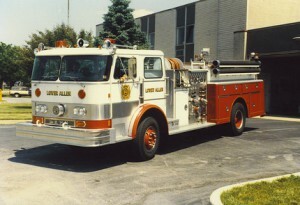 This fire engine replaced the 1975 Hahn. This fire engine was equipped with a 1500 GPM pump and a 7.5 kW Onan generator up top. This unit was dedicated to Firefighter William “Shorty” Frank who passed away in the line of duty in June 1996.Current whereabouts, Athens Township Fire Company, Bradford County PA. as Engine 24-1. This Unit Replaced the 1989 Chevrolet Hackney Squad when it was purchased new in 1998. 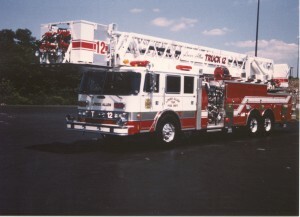 It was purchased the same time as the 1998 Engine 2. Current Whereabouts: Owned and Operated by Ansonville Fire Department (NC) as Rescue 53.